A critical part of early childhood development is the development of "theory of mind" (ToM), which is the ability to take the perspective of another person. The main purpose of this book is to discuss and integrate findings from prominent research areas in developmental psychology that are typically studied in isolation, but are clearly related. Two examples are whether executive functions represent a precursor of ToM or whether ToM understanding predicts the development of executive functions, and to what extent children's level of verbal ability and their working memory are important predictors of performance on both executive functioning and ToM tasks. The chapters in this book give a detailed account of the major outcomes of this research. First, the state of the art concerning current understanding of the relevant constructs (working memory, ToM, executive functioning) and their developmental changes is presented, followed by chapters that deal with interactions among the core concepts. 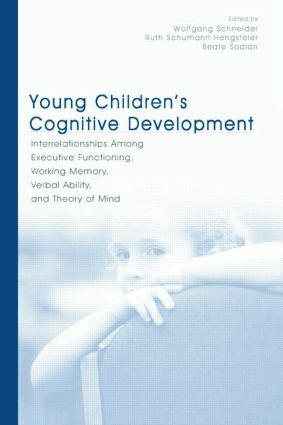 Its main focus is on theoretically important relationships among determinants of young children's cognitive development--considered to be "hot" issues in contemporary developmental psychology. Based on presentations made at an international workshop, this book is divided into two parts. In the first part, five teams of researchers present theoretical analyses and overviews of empirical evidence regarding the core constructs of memory, executive functions, and ToM. The next part deals with the interplay among the core concepts outlined in Part I with developmental trends in the interaction. Executive Functions, Working Memory, Verbal Ability, and Theory of Mind—Does It All Come Together?